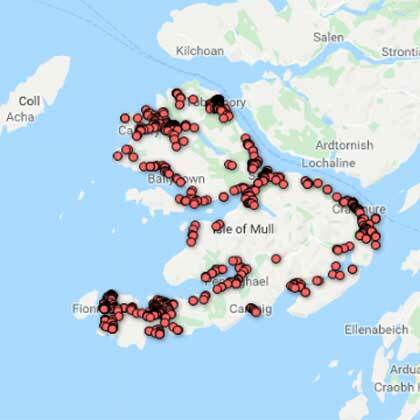 Below, are a series of Mull maps, including Motorhome and Campervan maps, maps to find locations and general information. 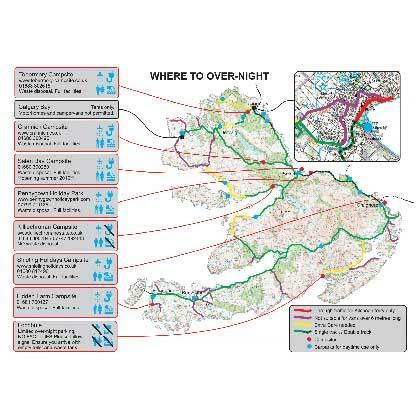 The maps above start with a Mororhome and Camper map, taken from the recently produced guide, replacing the one produced by the Community Trust, a couple of years ago. 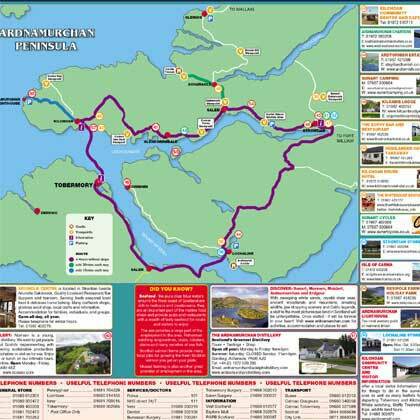 The map itself, is on the page with other information for Motorhomers. 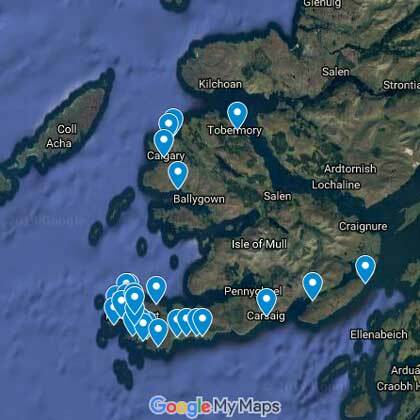 are part of a set of maps produced for the Explore Mull Guide, which is published each year and distributed around the island and mainland. 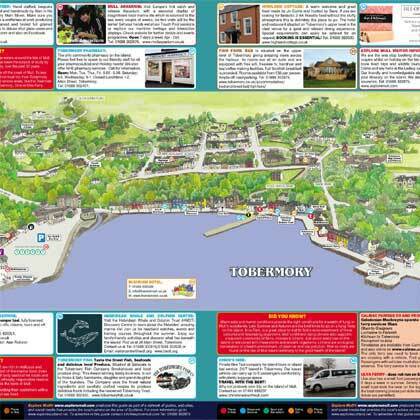 Alongside the maps are blocks of information about things to do and places to see, as well as shops and eateries. 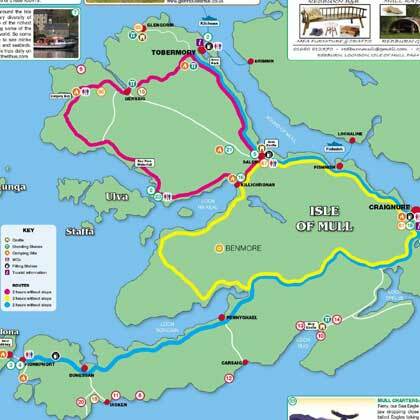 The two maps are of Tobermory and the other of Ardnamurchan. 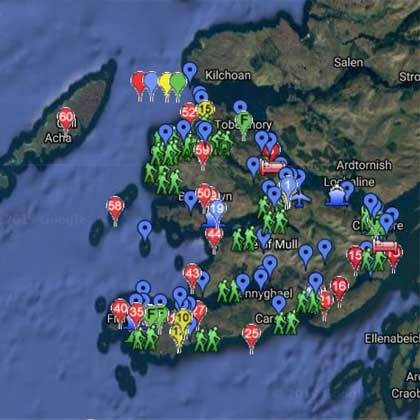 The sixth map is one about Mull and Iona's beaches. 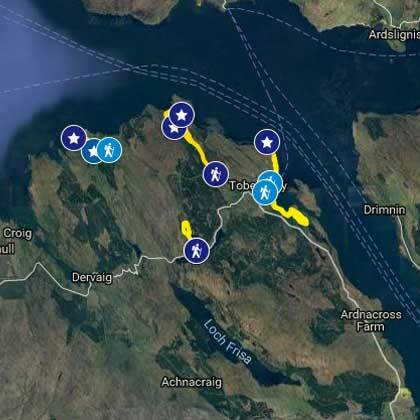 The link goes through to an interactive Google map, where pieces of information and images can be found. 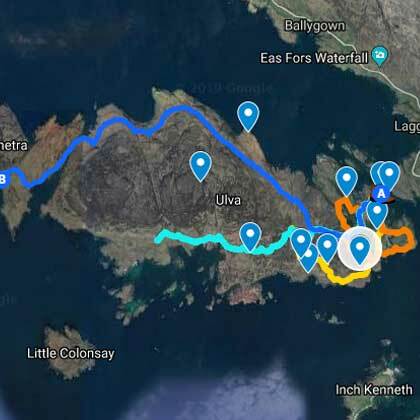 Useful for driving instructions and timings.